Grand Designs - Kensington Picture House, Thorne. 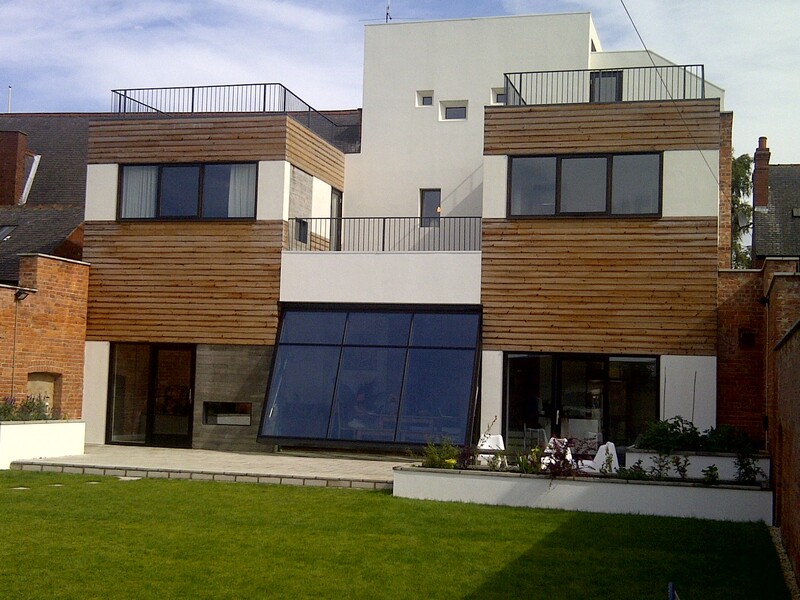 Thermowood cladding supplied to project featured on Grand Designs. The Kensinton Picture House at Thorne in South Yorkshire featured on the first episode of the new series of Grand Designs aired for the first time last night. The programme followed Gwyn and Kate in their quest to transform a crumbling Edwardian Cinema into a modern family home.........and what an amazing transformation! We are pleased to have supplied the Thermowood Cladding which features on the new concrete extensions at the back of the building, overlooking the walled garden. Thermowood is a heat treated timber which is perfect for external cladding, not only is it amazingly durable, it also looks great, complmenting the cast concrete. If you missed Grand Designs catch up on Channel 4 OD. For more information on Thermowood or any other timber cladding requirement you have give our sales team a call on 01472 350151, they will provide expert advice and quotes on request. Also see Channel 4 Scrapbook for a list of the suppliers used for the project.